Relentless hype has surrounded ICOs this year -- but will they remain legal? camera (Chris Ratcliffe/Bloomberg via Getty Images) A collection of Bitcoins are pictured, Dec. 10, 2015. On Sept. 21 at the Nexus Conference, an intimate gathering in Aspen, Colorado, focused on decentralized and disruptive technologies, millionaire investor Roger Ver made an unexpected announcement: He has helped raise over $100 million to purchase sovereign territory from a to-be-determined government and start a sovereign country. The announcement of his project, dubbed Free Society, came as a surprise to the largely Libertarian audience, who expected the 38-year-old Bitcoin evangelist and early investor in the cryptocurrency to discuss the advertised topic: Bitcoin Cash, the new cryptocurrency that emerged Aug. 1 after a split in the Bitcoin community. Instead, the man nicknamed “Bitcoin Jesus” laid out his plan, which he emphasized will be based on the ideas of voluntaryism, the non-aggression principle and free markets. 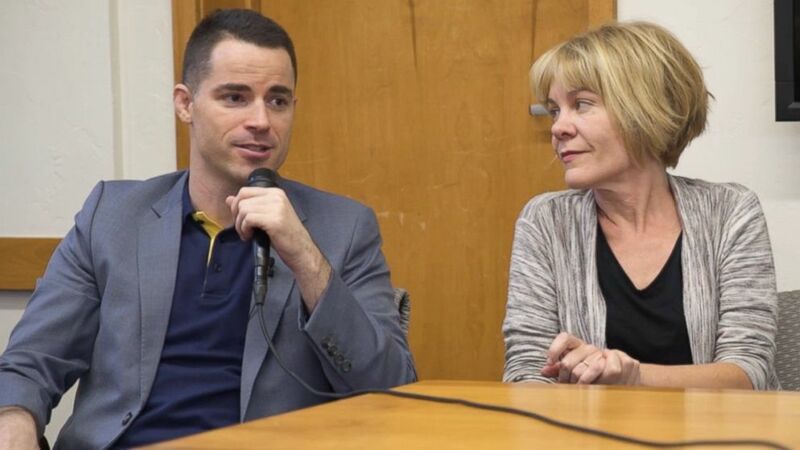 (Dominick Hicks/handout) Investor Roger Ver, seated next to "The Keiser Report" co-host Stacy Herbert, speaks at the Nexus Conference in Aspen, Colo., Sept. 22, 2017. The relentless hype around ICOs, or Initial Coin Offerings, has gripped Silicon Valley and the venture investing landscape over the past year. Similar to company’s Initial Public Offering, ICOs involve a company creating a new, unregulated digital coin at a discount to raise funds. This allows startups to avoid surrendering power in their companies to shareholders or venture capitalists. Nearly $2.3 billion has been raised to date using ICOs, Forbes reported in August. It’s been called the future of raising money. Since Bitcoin was born in the aftermath of the financial collapse of 2008, several new cryptocurrencies have entered the fray, including Ethereum, Litecoin, the intentionally goofy Dogecoin, along with many others. Currently, the cryptocurrency market cap is worth in excess of $150 billion. With the rapid success of these coins, and the new technology behind them, known as blockchain -- essentially a decentralized ledger -- a fresh way to invest at the very early stage of a company’s growth has emerged. Think of an ICO like a Kickstarter -- but with ICOs, you pay in with Bitcoin or Ethereum, or sometimes with legal tender, and receive tokens in the company, rather than stock. When purchasing coins in an ICO, an investor is then able to sell, trade, or hold the asset. What an investor gets out of a coin varies -- with some, the purchaser is granted access the company’s platform, or allowed to use its software, or just participate in the given project. In Aspen, one panelist announced that 48 ICOs took place in one day in September. Paris Hilton recently promoted an ICO called LydianCoin on Twitter. Boxer Floyd Mayweather recently publicized the Stox.com ICO on his Instagram. And billionaire Mark Cuban is throwing some of his heft behind Seattle sports betting start-up Unikrn, a sports betting coin powered by the Ethereum blockchain. Ethereum’s technology has been essential to the process of setting up an ICO. For a start-up seeking funds, it’s now very easy to create a token using the Etherum blockchain and quickly aggregate large amounts of money. For an ICO investor, the hope is for a major return. And ideally a fast one, perhaps at the breakneck pace that Bitcoin has grown in value this year -- quadrupling in the past six months to be worth over $4,000 per coin. Charles Hoskinson, the former CEO of Ethereum, who now runs the tech firm Input Output HK, told ABC News that for venture capitalists to the curious everyman investor, deciding on whether to buy into an ICO is a matter of looking under the hood. Some coin offerings are solid. If a startup launching an ICO has done its due diligence -- ensured what it is selling is not a security, sought legal opinions, and constructed a fair and transparent model -- it’s likely in good shape. Others ICOs can be a bit thin. It’s rather quick and simple to crib the code of another cryptocurrency, put the concept down on a hastily written white paper, hype it, and raise hundreds of millions of dollars. But given the array of circumstances and questionable vetting of some coin offerings, the current flurry of ICO launches has created a buyer beware situation, Hoskinson says. For many of 2017’s ICO launches, hype has been a key factor. One common fundraising method is touting names of rockstar industry advisors, who can lend a sense of legitimacy to a particular coin offering. However, some of the big names in the industry are so-called advisors for many ICOs, Hoskinson says -- and are compensated for lending their name. 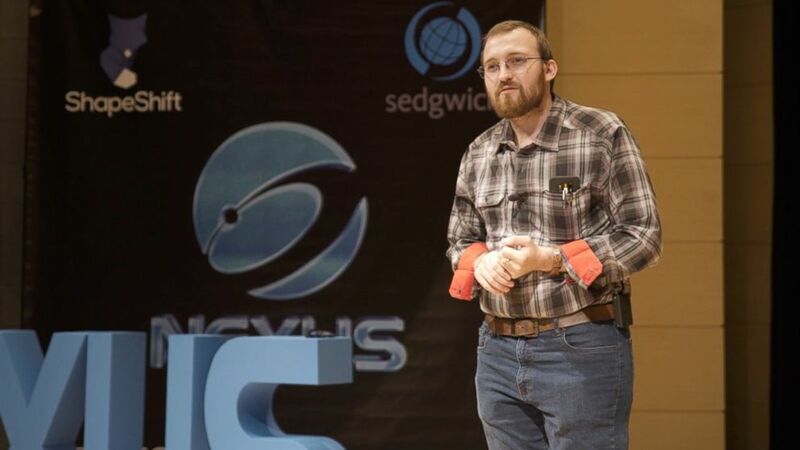 (Dominick Hicks/handout) Charles Hoskinson speaks at the Nexus Conference in Aspen, Colo., Dec. 21, 2017. Whether the current boom for ICO fundraising will continue in the United States, and in other major global markets, remains to be seen. A key appeal of ICOs is bypassing banks and venture capital firms to raise money. 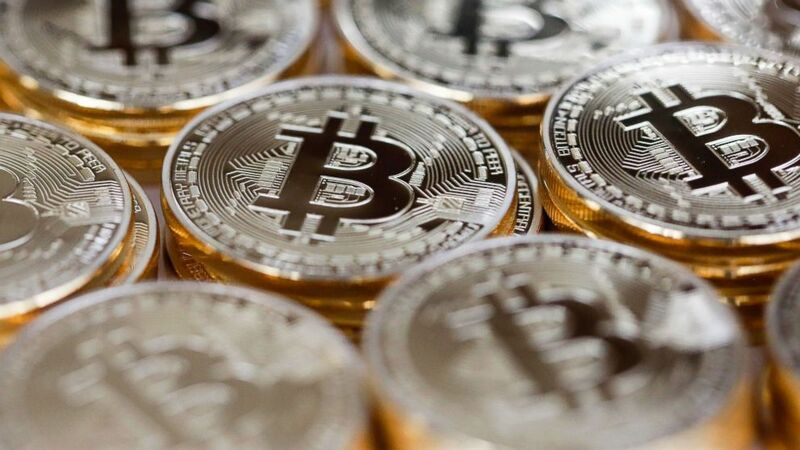 But in July, the U.S. Securities and Exchange Commission (SEC) issued a bulletin highlighting potential risks of participating coin offerings. The bulletin went on to warn that scammers will use innovations and new technology -- like cryptocurrency and blockchains -- can be used to perpetrate fraud. “It is relatively easy for anyone to use blockchain technology to create an ICO that looks impressive, even though it might actually be a scam,” the agency warned. More recently, a chain reaction of ICO bans is sweeping across Asia. In announcing China’s ban on Sept. 4, the Bank of China, along with six other government organizations, said that ICOs are unauthorized and illegal, and recommended that anyone or company that has completed ICO fundraising should return the funds. South Korea followed suit last week, banning all cryptocurrency-based fundraising. "There is a situation where money has been flooded into an unproductive and speculative direction," said Kim Yong Beom, vice chairman of the South Korea’s Financial Services Commission, according to Yonhap News. And in Taiwan, a legislature with the country’s Nationalist opposition party told the Financial Times that he is cautious after China and South Korea’s bans were announced, as he believes cryptocurrency -- which he, like many, sees as linked to drugs and crime -- may now then flow into Taiwan. Jason Hsu told the FT that during a joint session of parliament and cabinet next week he will ask Taiwan’s financial commission to look into ICO regulation. These abrupt restrictions, and the looming threat of an SEC crackdown, have led to a chilling effect in the cryptocurrency world. After China began its clampdown, the value of Bitcoin dropped around 20 percent -- though it has since mostly rebounded. And if the SEC announces a ban, companies are likely to bring their businesses to friendlier shores, Hoskinson says. Some look at this trend and see a bubble ready to pop, as ICO funding teeters at dizzying heights. This includes Vitalik Buterin, who also helped create Ethereum -- he recently told the website Financial Magnates that investor are growing increasingly confident in coin offerings, and that the market is “growing at a rate that makes it hard to control.” If the bubble bursts, or this Wild West of fundraising is slapped with strict regulations, which coins and companies will survive is anyone's guess. Others, like Ver and many at the Nexus conference, see cryptocurrencies as a means to change the world -- or at least create a free market paradise in their own vision.